Trends are great and everything, but it’s always good to have shoes in your wardrobe that you know will be in style for decades. 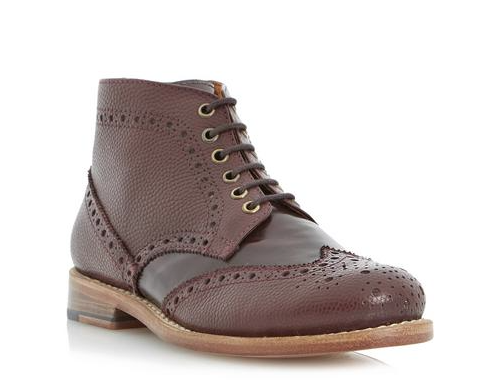 One of my favourite shoes of all time is a lace-up brogue boot. 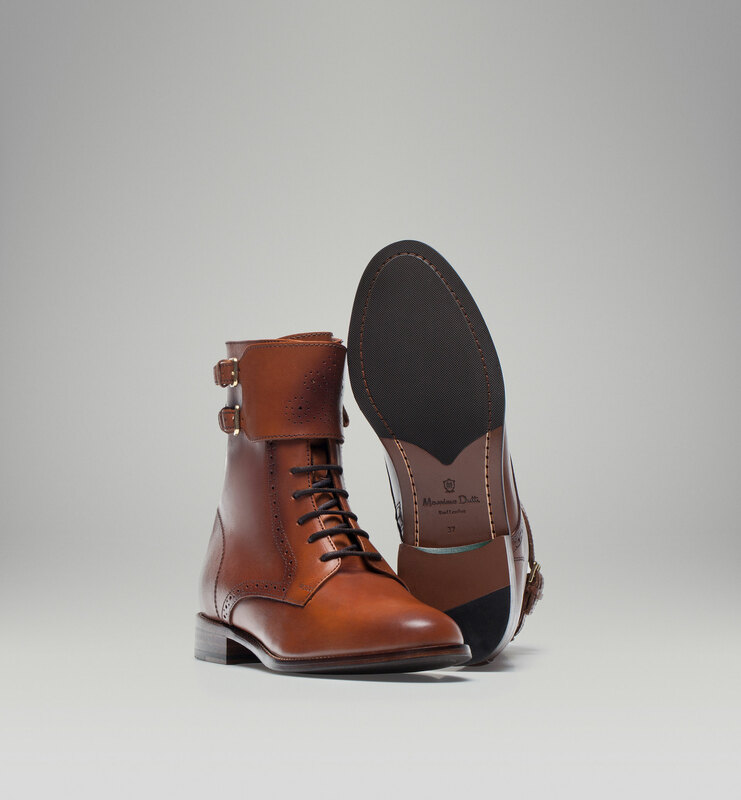 This pair by Grenson were the shoes that got me REALLY hooked on shoes. I mean, I’ve always loved flat shoes, but it was this pair that tipped me well and truly over the edge from shoe fan to shoe-aholic. What do I love about them so much (other than the fact that they look good as new after years of wearing)? 1) You’d be hard pushed to find anything that looks better with blue jeans 2) That tan leather is a fool-proof classic colour and 3) the fact that they’re lace-up means you can put your own spin on them (I added these yellow laces after a couple of years). 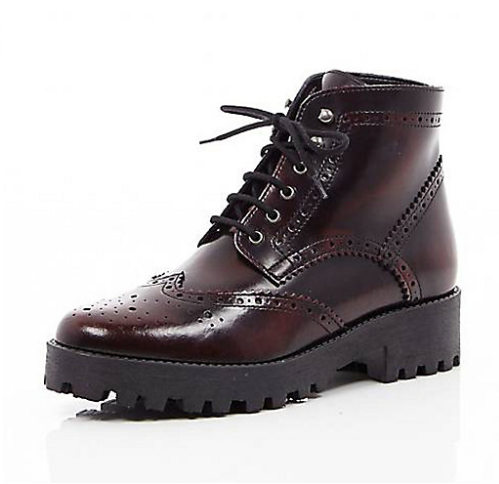 There’s never been a better time to invest in a pair of lovely brogue boots as there are so many to choose from on the high street. 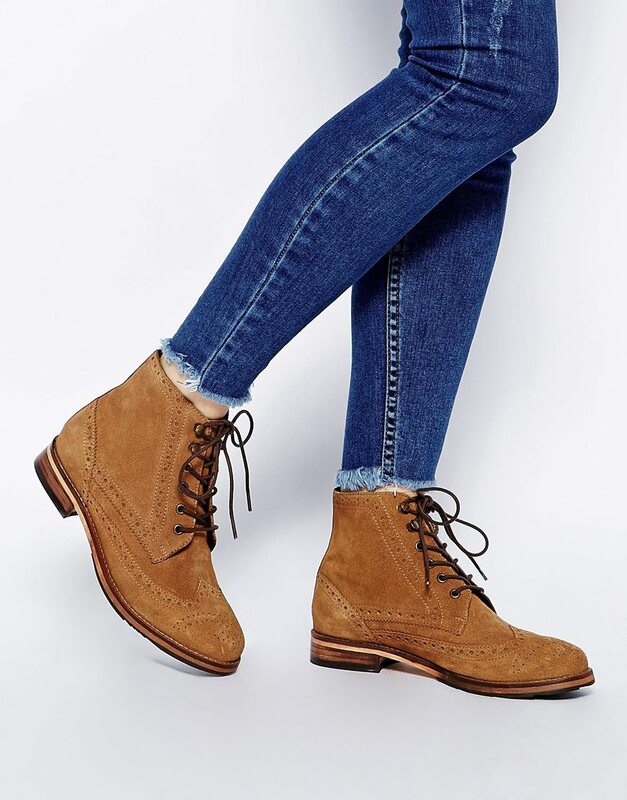 The image of my favourites from ASOS (above) also demonstrates my other current obsession: frayed hem jeans. Thanks to London fashion week designers Marques’Almeida, it’s totally fine if your jeans are too long to just cut them off and let them fray. It’s also a great way of making your jeans short enough to display your snazzy boots! Another good bet, colour-wise, is burgundy – it’s bang on trend at the moment, but won’t ever go out of fashion. 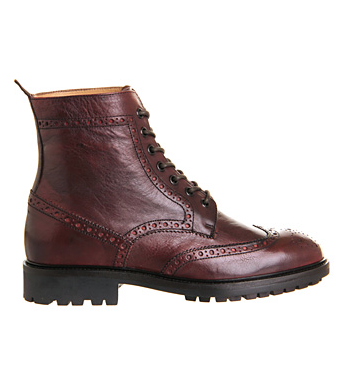 I particularly like the Pollard boot (top) from Bertie with its double texture finish. 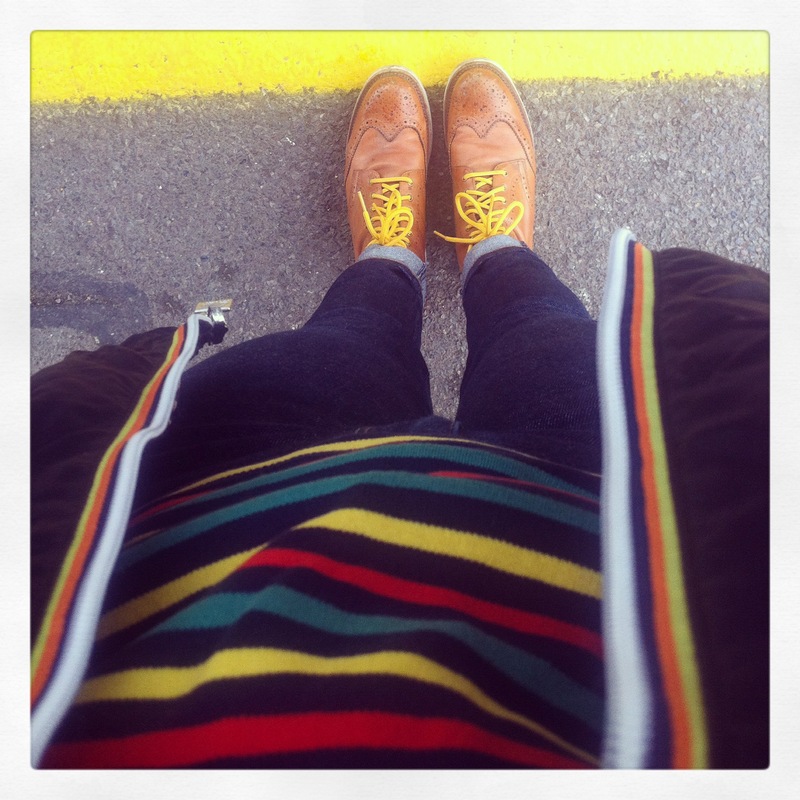 And don’t forget, if you get bored of your brogue boots in a couple of years, just change the laces for a fresh update.